SUMMARY: First net-zero city fights off giant fracking leak in California. ; Vancouver aims fossil free; 1st Nations vs. pipelines. Mayors & activists report. Scientist Paul Beckwith & RAN Exec Dir Lindsey Allen wrap up Paris climate talks. Carolyn Baker’s seminar on how to cope. Reactions to the Paris climate agreement are all over the map. Unexpectedly, our correspondent Paul Beckwith suggests this may be a tipping point in human affairs, after extreme weather all over the planet. Lindsey Allen from RAN isn’t so sure. Before we talk with them, I want you to hear an extraordinary teleconference hosted by former Earthbeat radio host Daphne Wysham. We hear how West Coast cities are leading us out of the fossil age, even as they struggle with constant demand for more pipelines and ports. Oh by the way, one California mayor reports thousands are living under a toxic cloud, while fracking has poisoned the water system used for one quarter of North America’s produce. I’m Alex Smith, with all that and more, this week on Radio Ecoshock. Just when things look bleak for the climate, we discover city Mayors are way ahead of national leaders. Daphne Wysham leads this story. She’s the former host of the syndicated radio program “Earth Beat“, and now director of the climate and energy program at the Center for Sustainable Economy. The whole purpose of the call was to unite more local politicians in the fight against constant pressure to approve or allow more and more fossil fuel infrastructure. By that we mean incessant pressure to build more ports for oil, gas, or coal, more pipelines, more storage facilities – all the instruments by which we can commit to a bankrupt economic plan, and a ravaged planet. Daphne Wysham was among many who fought off such a proposal in Portland Oregon. Companies wanted to build a propane shipment facilities, bringing the propane from Alberta in Canada, to ship to Asia or who knows where. This in Portland, which has prided itself in being the first city in America to develop a green plan, a way out of fossil fuel dependence. It clashed, and was defeated at the civic level – not in Washington, not in Paris, but stopped in Portland. On November 12, 2015, Portland passed the strongest legislation against more fossil fuel infrastructure anywhere in America. Activists realized they could not afford to fight off each and every such proposal, which are rampant on the West Coast, including in Canada, but also in the UK, in Australia, and around the world. The fossil fuel industry is still trying to grow, even as we know more must be left in the ground, even as we know humans must move AWAY from more fossil fuels, not toward them. So a small non-profit web site was set up, simply named No More Fossil Fuel Infrastructure. As Daphne tells us in a preview interview, more than a dozen Mayors signed up almost overnight. In a surprising development, the Mayor of Richmond California, Tom Butts signed up from Paris- even though his city hosts a huge and polluting refinery owned by Chevron. Andrea Rheimer, the Deputy Mayor of Vancouver, Canada, has some inspiring news. That city banned all new fossil fuel infrastructure in 2012. In 2013, Vancouver banned new coal ports. At the start of 2015, Vancouver was one of a handful of cities around the world declaring their intention to be fossil-free by 2050. Just this year, another 100 or more cities have said the same. The cities are far ahead of the politicians in Paris. NORTH AMERICA’S FIRST NET ZERO CITY? 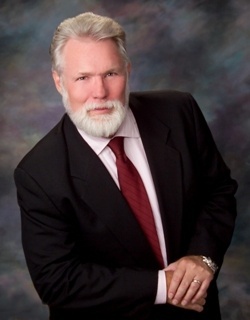 * His city of Lancaster passed a bylaw requiring all new homes to have installed solar power. As a result, the city now produces more electricity than it consumes. Lancaster California exports power to the grid, becoming a net-zero city (perhaps the world’s first) as far as electricity goes. Mayor Parris expected complaints and push-back, but instead got a better economy and co-operation. * The city is now engaged with a Chinese battery company, BYD, to install a 500 megawatt storage facility, to balance out the highs and lows of solar power. Again, this is a first for any city in North America. * Parris is a lawyer who now heads the class action suit against SoCal (Southern California Gas Company), and it’s parent company, Sempra Energy, for a huge fracking well blow-out that has buried thousands of families under a toxic cloud. This one blow-out (still on-going, can’t be stopped apparently) is thought to be emitting one quarter of all methane produced by the state of California. It’s not just methane, but a toxic stew of cancer-causing chemicals like benzene. It’s called the “Porter Ranch” disaster, or California’s BP disaster. SAN JOAQUIN VALLEY, SOURCE OF 25% OF NATION’S PRODUCE, POISONED? “Before the Porter Ranch blowout in the injection wells, what we discovered is that the water supply in the San Joaquin Valley that feeds 25% of our nation’s food supply, grown food supply, comes from the San Joaquin Valley. And the aquifers appear to be poisoned. The cherry trees started to die, now the almond trees are dying. And the testing shows that in some cases we’re getting benzene levels at a thousand times what what’s acceptable. All kinds of hydrocarbon poisons are in there – and that’s because the oil industry has been injecting directly into the drinking water of California. The thing we should start recognizing is that this industry has no responsibility whatsoever. They have captive agencies regulating them, and as a result the impact they’re having on the climate, the country and the citizens is beyond comprehension. The Porter Ranch situation is an example of that. They used a 50 year old well, it was drilled in 1954, to pump oil, and they used that as an injection well to store natural gas under high pressures. The inevitable happened. It blew and now we have thousands of families living under this cloud, with very little we can do about it. We’re trying to relocate them, the gas company is resisting. This is Sempra Energy which is responsible for this. 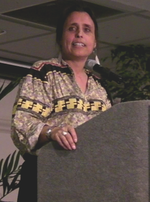 Winona LaDuke tells us the Ojibwe people are fighting no less than three new pipeline coming through their lands. The fossil fuel companies want to establish pipelines to a port on Lake Superior, to carry dangerous Bakken crude, or even-more polluting tar sands oil, out to the world by the East. They would bypass the barriers to the West in British Columbia, or Oregon, bypass the XL pipeline, and ship via the Great Lakes. Anything to make a buck. Find out more about Winona’s activism here at Honor the Earth. There isn’t space here to tell it all. Please listen to this shorter report (edited for radio) on Radio Ecoshock, or listen to the whole press conference here. Along with Mayor Parris, Andrea Rheimer and LaDuke, you will also hear from Patrick O’Herron from the Oregon Physicians for Social Responsibility and Nia Rivak, an activist from Portland. Oh yeah, and Bill McKibben sent an introductory clip from Paris, for this teleconference. It’s well worth your time. And can you help organize or support a similar movement against more fossil fuel infrastructure in your own city, where democracy still has a hope? Then sign up at nonewffi.org. I thought Paul would trash the Paris climate talks as way too little too late. No, Paul tells us why this may be a turning point, even a tipping point in human affairs. Then he explains what needs to be done from here, to really save the climate. As always, a trip with this PHD student (with already two Masters degrees, and teaching climate science at the University of Ottawa) – is also well worth your time. We talk about James Hansen, the new climate-aware billionaires, the Arctic Methane Emergency Group, geoengineering, and much more. I appreciate Paul taking the time to talk to us from Norway, where he is helping to found a new company, Gaia Engineering, which will provide climate-related technology. His two hour talk in Norway was recorded and will be found in a little while on the new web site being built. Lindsey Allen is the Executive Director of the Rainforest Action Network. That’s a group that has earned my respect. In addition to their campaigns to save the rainforests, for their own sake, and for the climate – RAN, as it’s known, also dug furthest into who, exactly who, is funding the new coal plants that will kill off our hopes for a livable planet. That turned out to be big name banks, some of who also claim to be getting greener. Get some of the details here, and I hope to do an interview soon on coal financing. Lindsey tells us about the non-profit organizations who were active in Paris, and the role that the people’s voice plays in bringing politicians as far as we’ve come. She also reminds us that the “developed” world has a lot to learn from the people actually living in rainforests, the indigenous people on all continents. But we’re not listening yet, she tells us – at our peril. Download or listen to this 11 minute interview with Lindsey Allen of Rainforest Action Network in CD Quality. Carolyn Baker is a life coach and certified in psychology. She’s taught at the university level. Carolyn has specialized in helping people cope with the awful news about climate change, and our impact on the planet in general. What should we think and feel? How can we go on? To that end, she’s organized a seminar which will be live with some really intriguing guests, and then later available via recorded video. It’s not free, because this sort of project costs money to organize. But it’s not all that expensive either. Carolyn describes the guests, which include Andrew Harvey founder of the Institute for Sacred Activism, writer/teacher Stephen Jenkinson, deep green activist Derrick Jensen, Carolyn herself of course, Linda Buzzell, journalist Dahr Jamail, Janaia Donaldson from Peak Moment TV, Mick Collins from the University of East Anglia, and Becca Martenson, counsellor and life coach (and wife of Chris Martenson). If you don’t recognize any of those names, perhaps you spend too much time with mainstream news? The thing is – I’ve seen some great conferences with speakers like this where they expect you to drive across the country, or fly across part of the world, and pay a lot of money for the conference, plus lodgings, food and all that. I’ve been waiting for the alternative community to organize real online conferences, complete with feedback from us, the participants. It’s starting. The seminar is called “Living Your Passion & Purpose“, and further “In the face of humanity’s greatest challenge, an interactive online symposium.” To find out more, listen to this 5 minute interview, or just go to her web site, carolynbaker.net. Then it’s up to you, whether you want to participate, in what Carolyn hopes will become a new supportive community. Download or listen to this 5 minute interview with Carolyn Baker in CD Quality. Of course you can also listen to Carolyn and her guests every week on her radio show “The Lifeboat Hour” on the Progressive Radio Network. Like the fossil age, we are out of time. If you can help support this program, find out how on this page. Radio Ecoshock is paid for entirely by listener support. We run no ads on this site, or in the program. We are not sponsored by guests or anyone else. Just you. Thank you for listening. Be sure and join us next week on Radio Ecoshock, when I’ll play a full-length talk about why a famous scientist who knows how serious the climate threat is, has finally begun to hope.